This quick tutorial will detail how to prepair the ABS Mesh Blocks to be used with MapBox's TileMill. 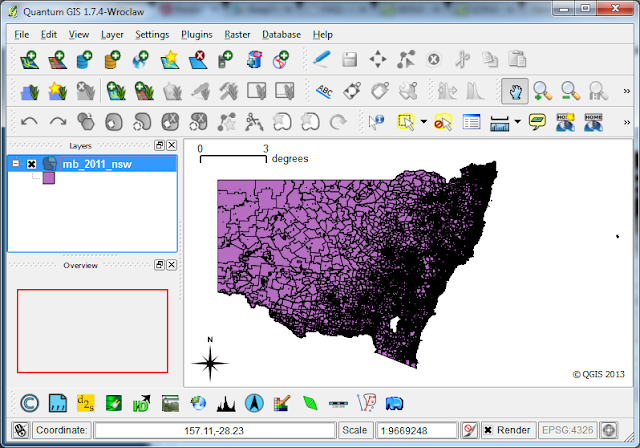 Beyond scope is how to install postgresql, postgis and TileMill. There is a lot of documentation how to do these tasks. # Query returned successfully with no result in 5527 ms. 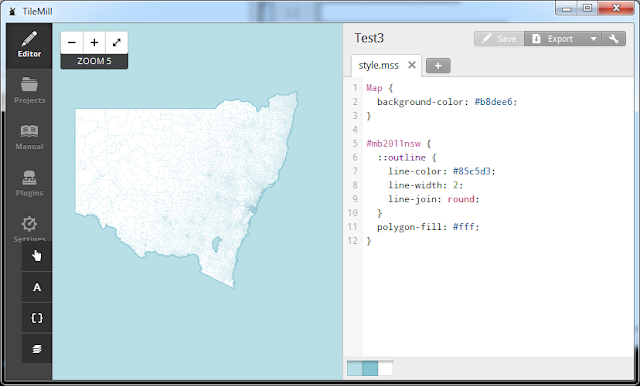 It is necessary to first import the Mesh Block spatial file using something like PostGIS Loader. And we get 6916971, which is about right (ABS has the 2011 official NSW population of 7.21 million). 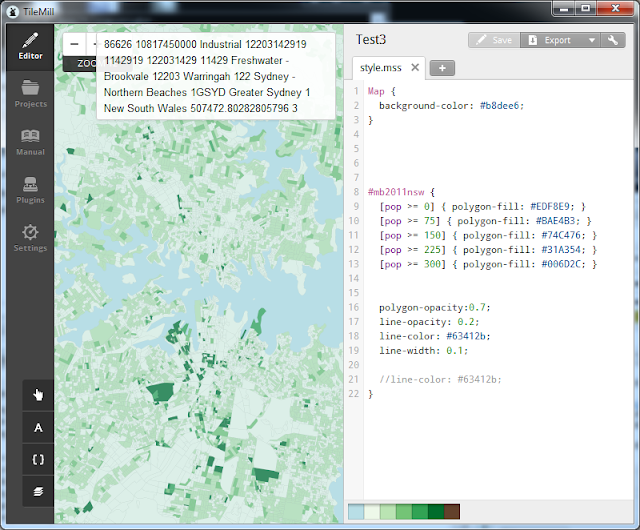 Finally, using TileMill, we can connect to the PostgGIS database and apply some themes to the map.